Nyam: (nee-yam); to eat, comes from the Fulani language of West Africa: nyama, nyamgo: to eat. In the Nilo-Saharan languages: Kaliko (Central Sudanic); nya: he eats; Tabi (Eastern Sudanic); nam: he eats. 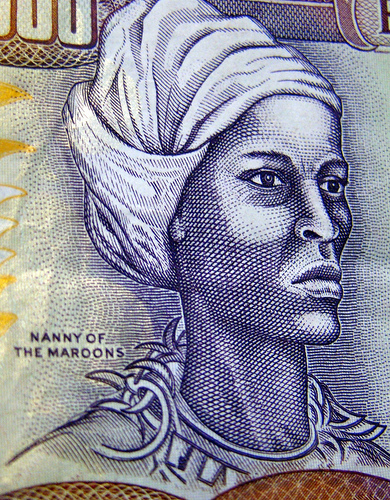 Pickney: (pick-nee); derives from the word pickaninny: meaning child. It is traced to the Portuguese language: pequenino, which is also found in creoles of Sierra Leone, Cameroon, etc. Su-su: (soo-soo); meaning gossip, the sound of whispering. Possibly originates from Ghana: asutu; whispering, or susuw kal; to utter suspicion, or su; to relate, tell. Uno, or Unnu: (oo-noo); means: you-all. It is a pronoun from the Ibo, Midob (Nubian family) and Nilo-Saharan languages: unu and uuni; meaning, you and ye. Jamaica has a variety of Traditional Dances: Maypole; Quadrille; Kumina and Jonkunnu. Other Traditional Dances are: Gerreh and Dinki Mini; Revival; Ring Games; Ettu and Bruckins Party. Septimus Severus arguably was the Roman Empire’s only African Emperor 193 – 211 AD. He was born in Tripolitania (North Africa); April 11, 145 AD in a continent usually at war with Rome. Septimus spent most of his reign travelling. In 211 AD, he came to Britain and conquered Scotland. He died in York after a long illness. Flavius Honorius arguably another of the Roman Empire’s African Emperors. He succeeded his father, Theodosius the Great in 395 AD. 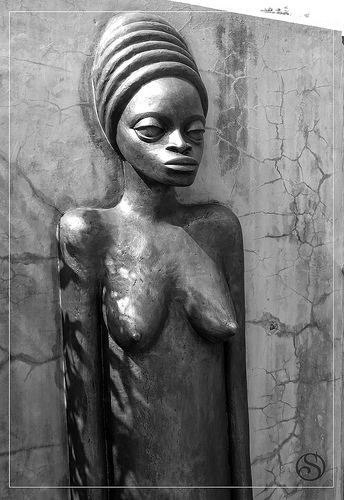 Queen Phillipa (1314 – 1369) was England’s first black Queen and mother of the Black Prince. She was born in Valenciennes (then in Flanders, now France) and was the daughter of William I, Count of Hainaut and Joan of Valois, the granddaughter of Philip III of France. Dido Elizabeth Belle (1762 – 1837) was the daughter of John Lindsay and an African slave woman known only as Belle. Very little is known about Belle only that she was black and a slave. Her daughter Dido lived in the household of the Earl of Mansfield who was her father’s Uncle and her Great-Uncle. 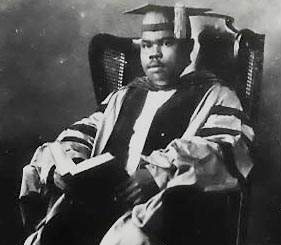 Marcus Mosiah Garvey (1887 – 1940) founded America’s first major black nationalist movement. One of the first anti-colonialists, he called for ‘Africa for Africans’ during the early 1920’s. The Jamaican-born Harlem-based activist gave black people a new sense of dignity and power. He died in 1940 without realising his dream. H.I.M Emperor Haile Selassie I was the 111th descendant of Solomon and Sheba. The ‘Might of the Trinity’ was known as Rastafari Makonnen until crowned in 1930. His reign in Ethiopia has influenced thousands who believe he is the Messiah. His country’s economic decline pushed him out of power, ending the 3,000 year old Solomonic Dynasty. This entry was posted on February 28, 2010 at 3:00 pm and is filed under Articles, Black British Literature, Black History, Newsletter with tags Articles, Black British Literature, Black History, Newsletter. You can follow any responses to this entry through the RSS 2.0 feed. You can leave a response, or trackback from your own site.